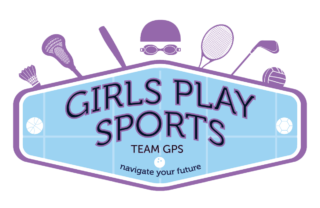 Shop & Support – Girls Play Sports, Inc. Choose Girls Play Sports as your charitable organization of choice on AmazonSmile and keep making more girls smile! AmazonSmile is a website operated by Amazon with the same products, prices, and shopping features as Amazon.com. The difference is that when you shop on AmazonSmile, the AmazonSmile Foundation will donate 0.5% of the purchase price of eligible products to the charitable organization of your choice. The donations can really add up with the things you are buying anyway. Sign into your account if you’re not already, and search for Girls Play Sports as your charity of choice. Once you make this selection, you will receive an email confirmation. If you’re a desktop shopper, you’re done. Just make sure you always shop from AmazonSmile. If you regularly shop Amazon through your mobile browser, simply navigate to smile.amazon.com on your mobile device on Safari. Once you are there, hit the share button at the bottom middle of your screen and click add to Home Screen. You have just created a shortcut to the AmazonSmile page. Consider deleting any other amazon apps so you always use this one. AmazonSmile only credits your charity when you shop via AmazonSmile. You’ve now effortlessly helped more girls participate in our programs. Every little bit counts!